Have a lot images for the product that you sell on your online shop ? 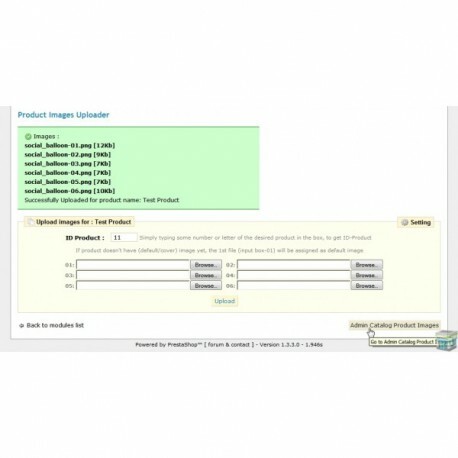 This module will help you to upload multiple images at once for the products you sell. 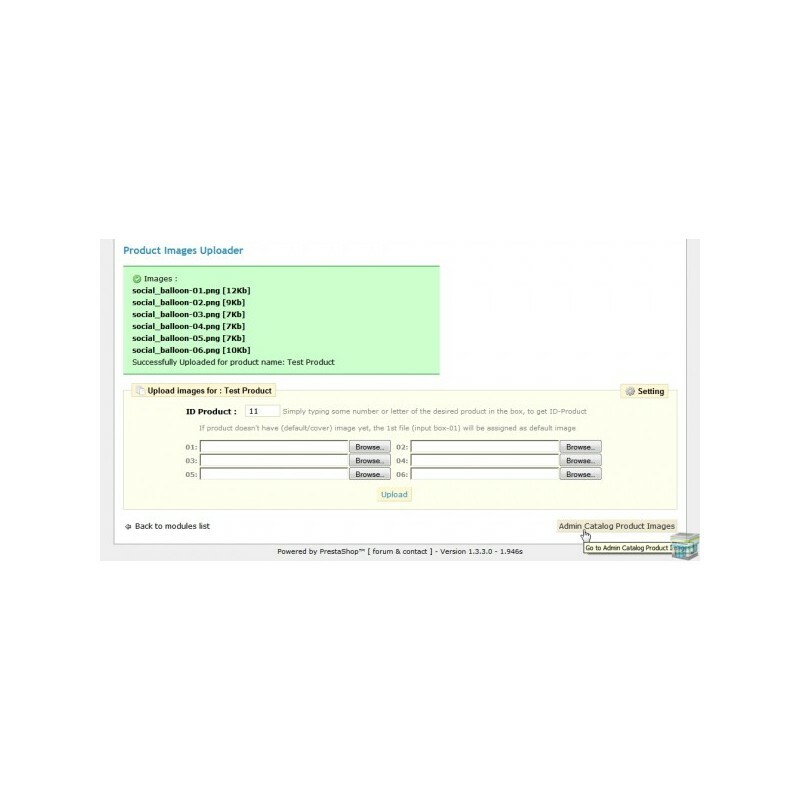 Automatically assign the 1st image file as default/cover image if product doesn't have (default) image yet.